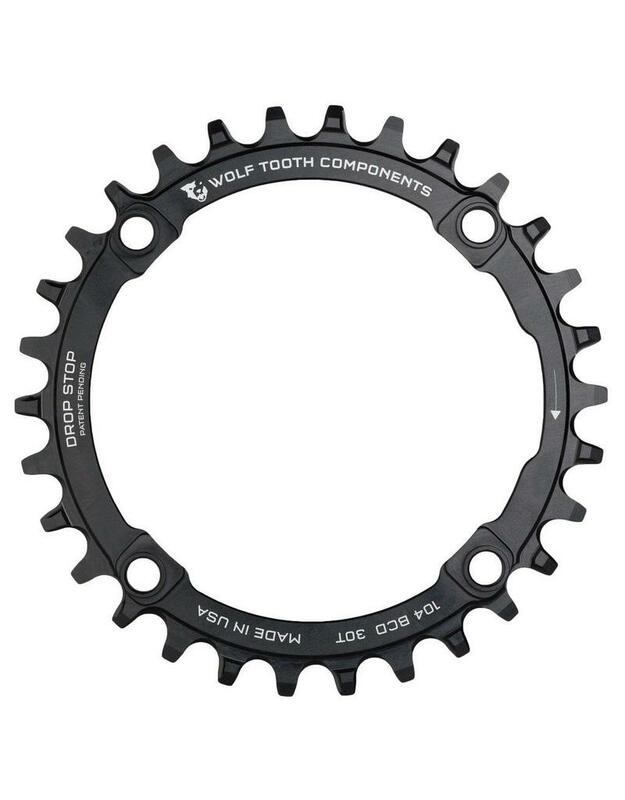 The 104 BCD chainring was Wolf Tooth’s first product ever and it is the most common bolt pattern on double and triple cranksets. 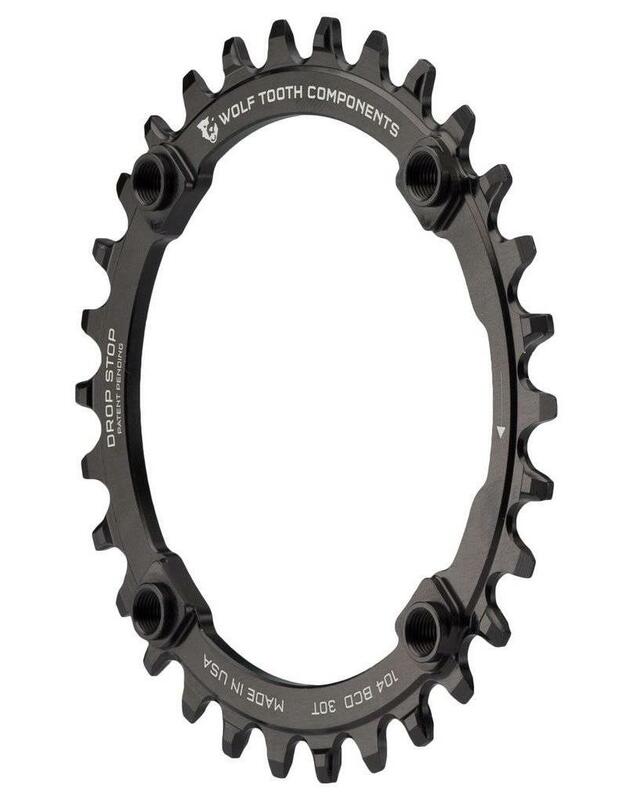 Wolf Tooth’s patented Drop-Stop tooth design is the best available anywhere. We offer a full spectrum of colors too! These rings fit any 104 BCD crankset, and here are instructions on how to measure your BCD. 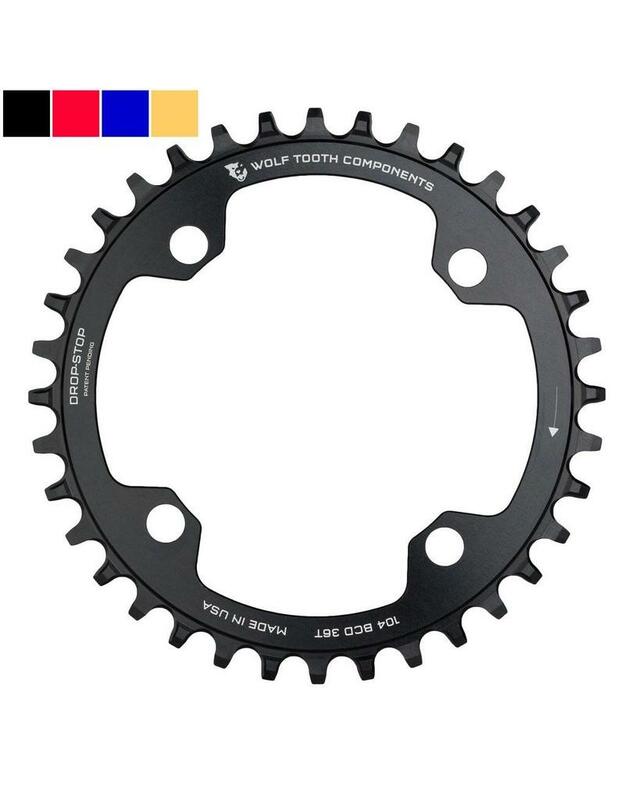 30 tooth rings require chainring bolts that are 7-10mm long. All other sizes require single ring specific bolts that are ~6mm long. 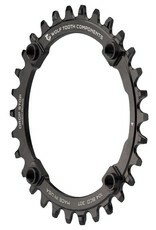 Notes for those the plan to run a 32t chainring on a 2x Shimano crankset (XT, SLX, or Deore). 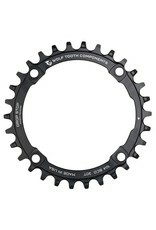 30t x 104BCD ring is the only QUARQ power meter compatible 30t ring available! QUARQ is a trademark of SRAM, LLC, registered in the U.S. and other countries. 64 BCD ring if you need something smaller than a 30t - will mount in your “granny gear” postion. 104 x 30t - our 10mm bolts are optimized for mounting this ring and/or this ring with our perfectly sized and matching bashring. All other tooth sizes - recommend our 6mm bolts.